سواءً كنت مسافراً بغرض السياحة أو العمل, Aotea Motel هو خيار عظيم للإقامة خلال زيارتك كرايستشرش. يجذب هذا الفندق ذو 3.5 نجوم، والذي يبعد 2 km فقط عن وسط المدينة و 9 km عن المطار، الكثير من الزوار سنوياً. بالنسبة لمن يريد الخروج، هذه بعض المعالم السياحية المتوفرة للزوار ‪Barbadoes Street Cemetry‬, The Bone Dudes, ‪St. Luke the Evangelist‬. تعكس غرف الفندق البالغ عددها 10 المنتشرة في 2 طوابق جواً من الدفء والألفة.خدمات عصرية مثل تلفزيون بشاشة مسطحة, اتصال لاسلكي بالإنترنت, اتصال لاسلكي بشبكة الإنترنت (مجاني), غرف لغير المدخنين, تدفئة موجودة في بعض الغرف المختارة. يقدم الفندق مجموعة رائعة من الخدمات كمثل حوض استحمام ساخن, مسار جولف - ضمن 3 كم, سبا, حديقة، لجعل إقامتك تجربة لا تنسى. مهما كانت أسبابك لزيارة كرايستشرش، فإن Aotea Motel هو الخيار الأفضل لإقامة مثيرة وممتعة. 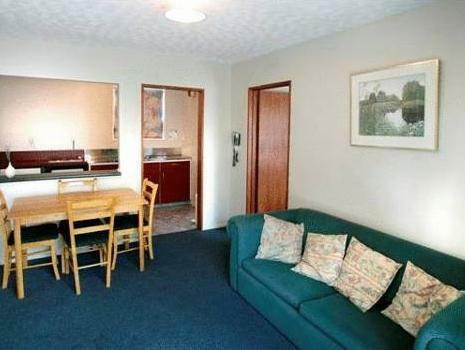 As soon as the owner found out we booked online he put us into a the smallest room right at the back. The front door to the room hits on the bed, u have to turn sideways to walk around the bed. The wind blows through the hole around the door lock. 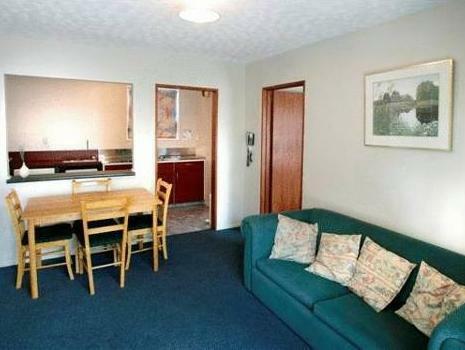 The smallest room we had in NZ and a disabled toilet is bigger than this room. 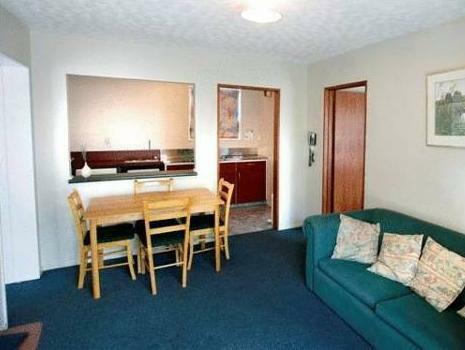 Studio unit was very small, no bedside cabinet on one side of bed.Facilities were limited , only electric kettle,2 mugs, 2teaspoons, teatowel, dishcloth and sachets of tea, coffee and sugar, no toaster or microwave. Bathroom was fine. Friendly staff and the motel had everything we needed. Pleased to stay here. 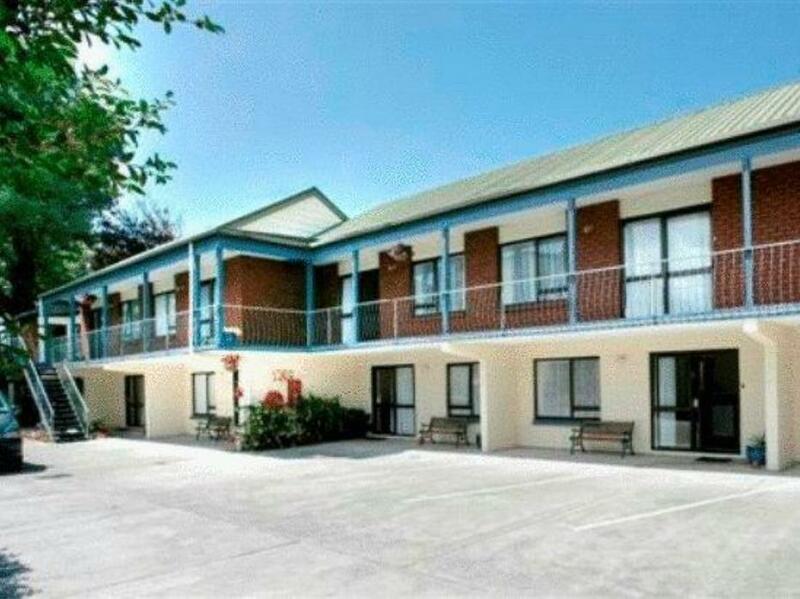 This is Motel that wew will not be staying in again. The rooms were dated and not to clean. There were leaves on the floor in one bedroom, hair on the sink and two week old ham in the fridge. tghe heat pump was not working and there was a heater fixed to the wall that did work. However it placed above the sofa so you banged your head on it if you didn't pull the sofa out of the way. Doing this though meant you couldn't get to the bedrooms without doing the high jump over the arm of the sofa. There was a portable blow heater there but this was so noisey that we had to turn it off at night. 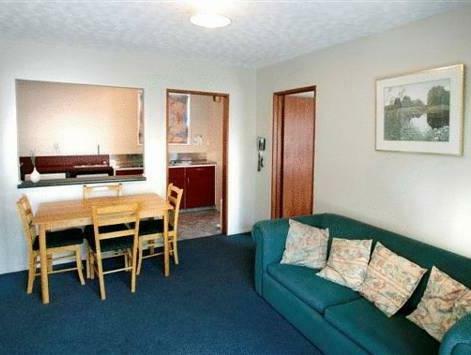 There was a table, four chairs and a sofa squeezed into the sitting room/kitchen. 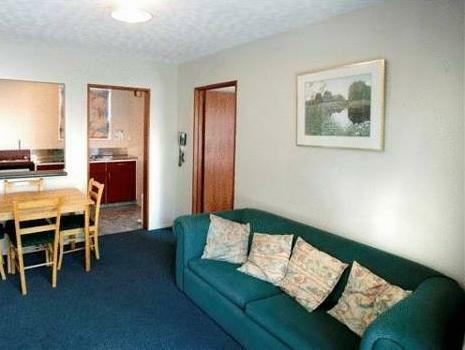 To say this was a two bedroom unit I not sure where we were suposed to sit to be comfortable. Three of us travelled to Christchurch so who knows where the third peron would sit comfortably for the eveing. In the twin bedded room the curtains didn't pull over the whole of the window so we had to resort in hanging a blanket over it. Truth be told, we were glad we had to leave early in the morning. 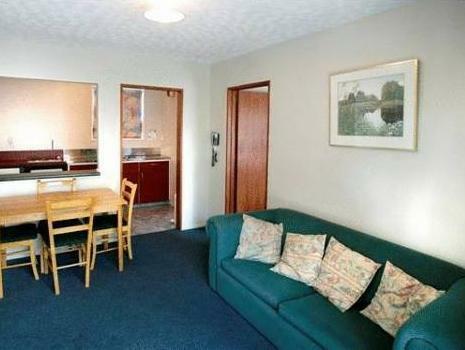 The room has a small kitchen and a separate bedroom. bathroom was very nice. Would be a lot better if had more TV channels to chose from. Room size is not as spacious. No proper heater in living area. A small portable heater provided only. Distance is the furthest on that street to the city. Many similar motels nearer to attractions. 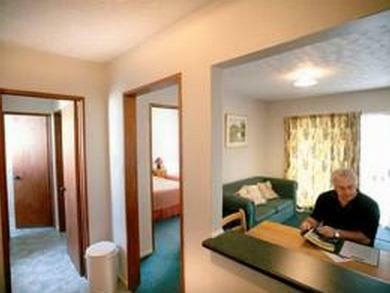 excellent service and guidance to location on South Island. Very pleasant stay. Arrived at 2 am and the room was ready with warmth beds. Helpful in providing locations on our drive along the south coast of South Island. spacious room, close to city, fast check in and out. spacious room, better equipped than some of motels that we stayed. free wifi was limited to only 50MB.